Central America has maintained close cooperation and trade relations with many countries, predominantly obtained through trade agreements. This makes trade integration with other countries easier and there lie opportunities to enter other local and regional markets. The promotion of foreign investment by governments makes it easier for foreign firms to form companies in Central America. Central America has infinite investment opportunities within the business markets. 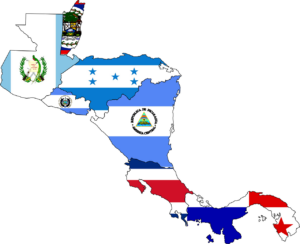 The three largest exporting nations in Central America are Guatemala, Costa Rica and El Salvador, accounting for about 64% of all Central American exports. CAFTA-DR, The Central American Free Trade Agreement, between Central America, The Dominican Republic and The United States, helps facilitate trade within the region and between the US as well as promoting prosperity and stability. Key markets among the Central American countries include infrastructure, low-cost labour, agriculture and construction. Free trade agreements help to facilitate trade in small, developing countries. This region has had a difficult history, marked by dictators, civil unrest and unstable governments that have been unable to provide some basic services for their citizens. Poverty and poor working conditions have followed as a result. However, as these economies and their political rule continue to get stronger, opportunities are arising for business in Central America. Colon Free Trade Zone: The second largest free port in the world is home to a wealth of companies and as well as a destination for those looking to re-export products. The biggest buyers come from Central and Latin America, as well as the United States. Modern facilities with great transport connections and tax incentives make this a promising area to trade. The second largest free port in the world is an important destination for those looking to export or re-export products while saving on export taxes. Costa Rica is constantly hailed as one of the best places to retire to in the world. An increasing number of expats (predominantly Canadian or American) are buying and renting properties in Costa Rica. The “Pura Vida” (The Pure Life) that makes this country so desirable to retire in is also responsible for the booming tourism industry. With low taxes, investing in a property is an attractive business opportunity. 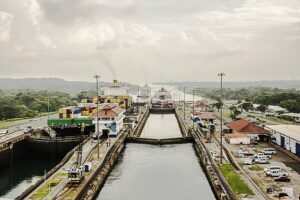 As one of the most integrated regions in the world, Central America’s imports continue to provide value to the Europe Union and US economies, cementing long-standing relationships. As such, a booming US economy is a good sign for those exporting to the US. Exports are important to these countries and investment in technologies can increase production and quality. Central America is cost competitive considering inputs such as electricity and human capital. Leveraging these cost savings can increase a firm’s competitiveness and profitability while subsidising branches in other international markets. Another exciting area of potential growth in Central America is its renewable energy sector, that has cost efficiencies over other countries. In other words, more power is produced with less money. Almost all of Costa Rica’s power comes from renewable sources including solar panels and hydropower. In Guatemala, the figure is moving towards 70%, while in Nicaragua it is 50% and rising each year. Renewable energy is an area for investment for foreign firms that possess relevant technological capabilities or know-how. Central America is a large and complex region where there are many opportunities to learn and innovate. Strategic business advantages include a low price of labour, cheaper manufacturing costs and arable land perfect for producing many varieties of fresh fruit. It’s a region with an economy that continues to develop every year and receives more investment and tourism, helping it to become interconnected with the world. Free trade zones and agreements with different countries have economic and financial incentives which could help lower tax payments. Considering all these points, Central America is a great place to consider investing in. Sufficient market research and due diligence are key when navigating any foreign business market to make sure a firm is best prepared for success. Thinking About Doing Business in Central America? Although there are many opportunities for doing business in Central America, it can sometimes be challenging due to the significant legal and cultural differences you may encounter. Biz Latin Hub has a team of professionals spread out through Central America ready to advise you on any query you may have. Our mission is to facilitate the entrance of entrepreneurs and investors into Latin American markets with the help of our experienced teams of accountants and lawyers. Please get in contact with the team at [email protected] to receive comprehensive advice about doing business in your chosen Central American jurisdiction.